7" x 3.75" ( 17.78 x 9.52 cm ). 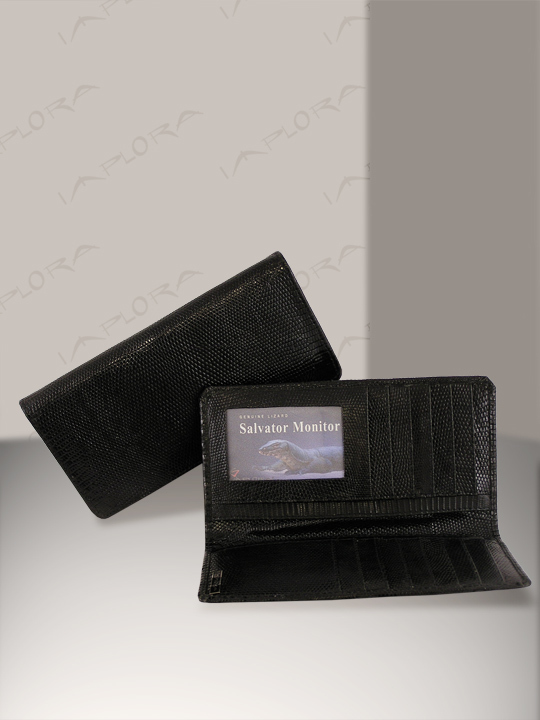 4 currency /checkbook slots, 1 pen holder. 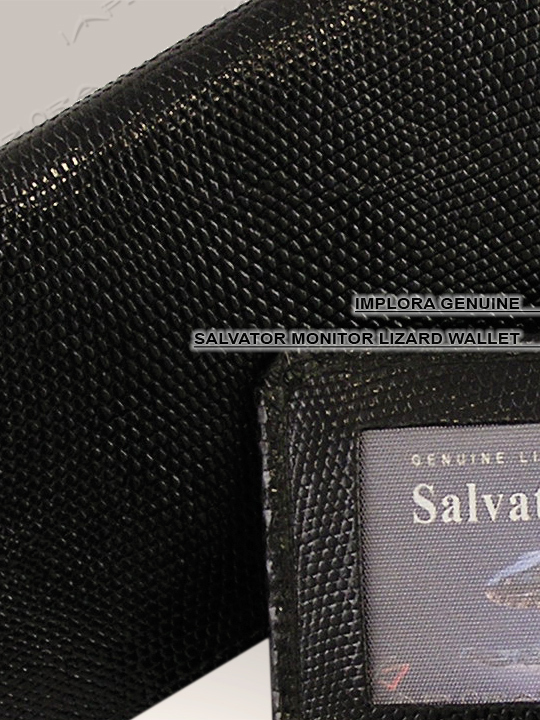 Genuine Salvator lizard skin exterior and interior.